The shadow of war looms over the remnants of humanity. Earth has been destroyed, the entire solar system turned to dust by a cataclysmic event known as the Fracture. Now, the last survivors of humanity live on vast arkships drifting through the Cluster, doing what they can to survive in a hostile ever-changing environment. Recovering from the war with the House of Draig, Wynn must forge new alliances with other families and their arkships, if they are to survive. 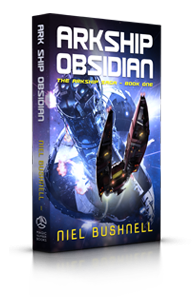 But the threat from the Draig fleet has not gone away, and Wynn finds himself thrust into the heart of new, more dangerous dilemma. 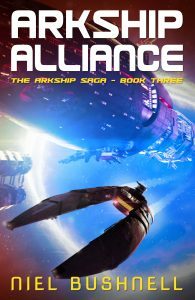 As the balance of power shifts across the Cluster, Wynn must choose between a life of peace on the fringes, or all-out war with the House of Draig and its growing alliance. 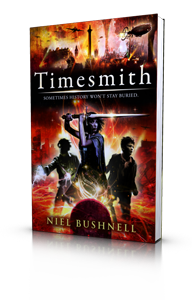 Set against a backdrop of warring families and their vast arkships, personal challenges mix with political conspiracy in this action-packed third instalment in the highly acclaimed Arkship Saga series from award-winning British writer Niel Bushnell.